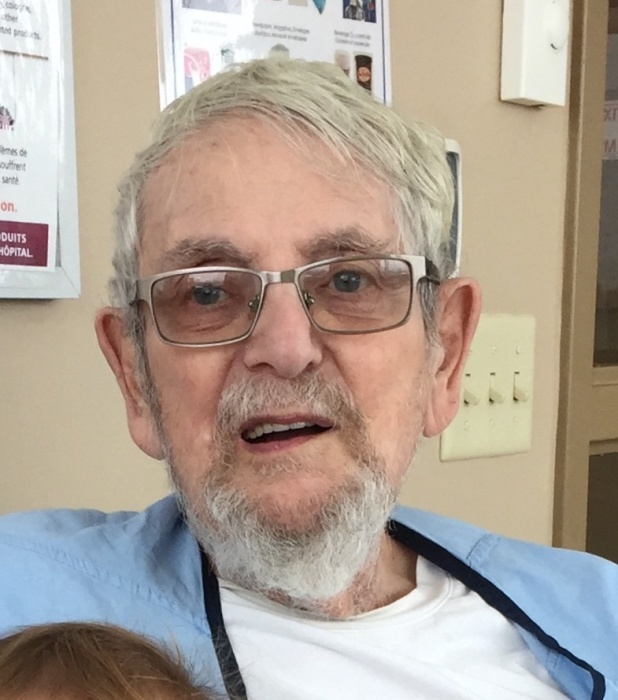 Obituary for Stuart Ivor Barnett | Hillside Funeral Services Ltd.
Stuart Ivor Barnett - Born December 3, 1934 in Birmingham, England - Canada September 1947. Son of Les and Isabelle, younger brother of Philip (Nikki). Father to Adele (Mark) and Jennifer (Doug). Granddad to Raychel, Paige and Brad, great granddad to Thea, honorary granddad to Maggie. Uncle “strooms” to his nieces and nephew. From his days as a stage actor in his sixties and seventies, to amateur theatre in the eighties and nineties, Stuart always had a flair for the dramatic. His quick wit, and dry British humour was always good for a laugh. He loved classical music; reading; dogs and cats. As a hairdresser he did not excel but as a taxi dispatcher in Toronto, he could tell who was closer to a fare within inches. If he said it, the cabbies believed it. After trying his hand at selling restaurant and hotel supplies for 10 years, he and the family made the move to Bracebridge, ON to open a bulk food store where he found success for 16 years until he retired in 1999. He moved to North Bay and called it home in 2000 and was delighted when he had both his children and his grandchildren in North Bay, too. He was well versed, well-travelled, loved a good game of bridge, was a competitive chess player, and believed “roughing it” was a night at the Holiday Inn. He will be missed. Family receiving friends at HILLSIDE FUNERAL SERVICES, 362 Airport Rd, on Saturday February 16th from 2 until 4 pm. Donations in memory of Stuart to the North Bay Regional Health Centre Foundation or the North Bay Humane Society would be appreciated by his family.